Google Hangouts is facing a huge threat from two of its own – Google Allo and Google Duo – however, this hasn’t stopped the app from getting better at what it does best. The search engine giant introduced Google Allo and Duo recently, two apps that are strictly meant for the mobile niche with roles in messaging and video calling services, respectively. As a result of these two, especially the latter, Google Hangouts will no longer be featuring on all Android devices as a preloaded app, instead, interested parties will have to manually download and install it from the Google Play Store. With more than half a billion active users, Google Hangouts remains a fan-favorite as far as mobile users are concerned. The app brings about continuity when it comes to using different gadgets, which is one of its selling points. 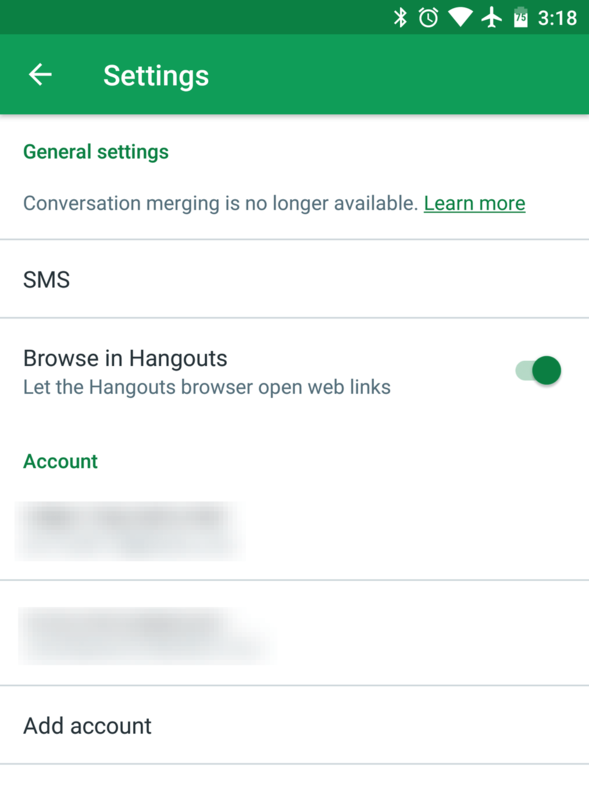 In the latest version 13 of the Hangouts app, there are even niftier additions that should make you keep using it. There is a new ability to browse in Google Hangouts. What this means is that you can now open links from within the app without the need of being redirected somewhere else for the same. This option can be found in the Settings menu. Aside from this great addition, the latest version of Google Hangouts also comes with casting Chrome tabs, something that should be a welcome idea for many users. The introduction of Google Allo and Duo for mobile-centric users has also meant that Google Hangouts will increase its focus on its business users. While the earlier-mentioned additions are welcome ideas as far as business users are concerned, the addition of 20 emoticon shortcuts seems to be taking care of the fun side of things. Of course, Google wants you to enjoy using the app, hence the addition of such features. When you type a forward slash and include any of the terms coming right below, you should be able to access these emoticon shortcuts. Algebraic, disapprove, dealwithit, sunglasses, facepalm, flowerbeam, lgtm, wizard, lit, happy, puppyparty, shame, success, octodisco, tableback, tableflip, that, shrug, this, and yuno. In addition to those using Google Hangouts on Android devices, these new features are also available on the latest version of Chrome extension for Windows as well as Hangouts for Chrome devices. Keep in mind that the update will not be hitting all devices at a go, especially Android devices, however, there is always another way out. If you feel like trying the new version, there is an APK ready for download. Follow the on-screen instructions to get the app installed on your phone.